There are those days that you get shocked and surprised by something you get to review and today was one of those days. 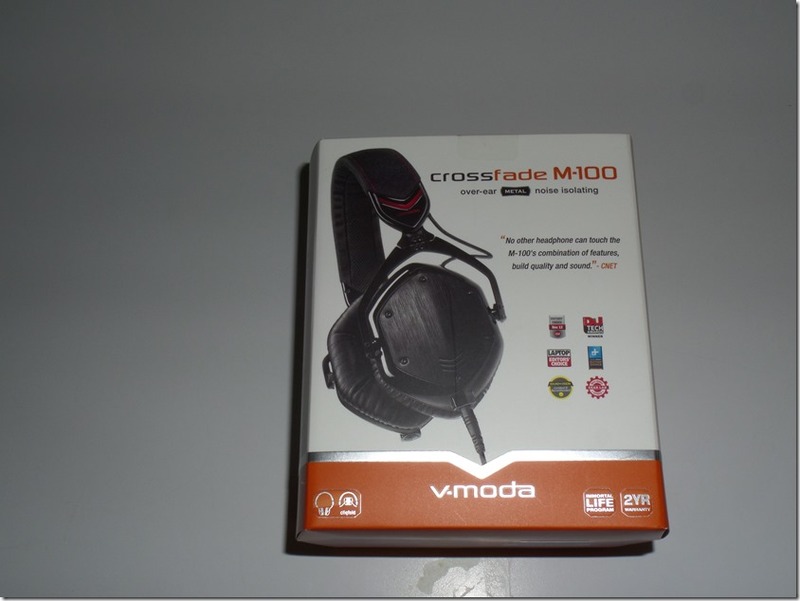 Our friends over at V-MODA sent me the Crossfade M-100 over the ear headset to test and review. This pair that they sent me was known as the shadow color. It has a red stitch with black base color or metal black. Now when you get the package from them you get this small box, the footprint is nice and small which saves on space. The box itself has a leather start to hold it by which I have yet to see on another box from any company. Then the box was held closed by a red velvet strap. Upon cutting that off you have another leather strap with a button holding the box open. To me it was very nice to see and makes you notice the time and quality they put into making and preparing for what is inside. Even with that being said take a moment and stare at the box and you will see the workmanship and time they put into it but I know its not the box you want to know about is it? 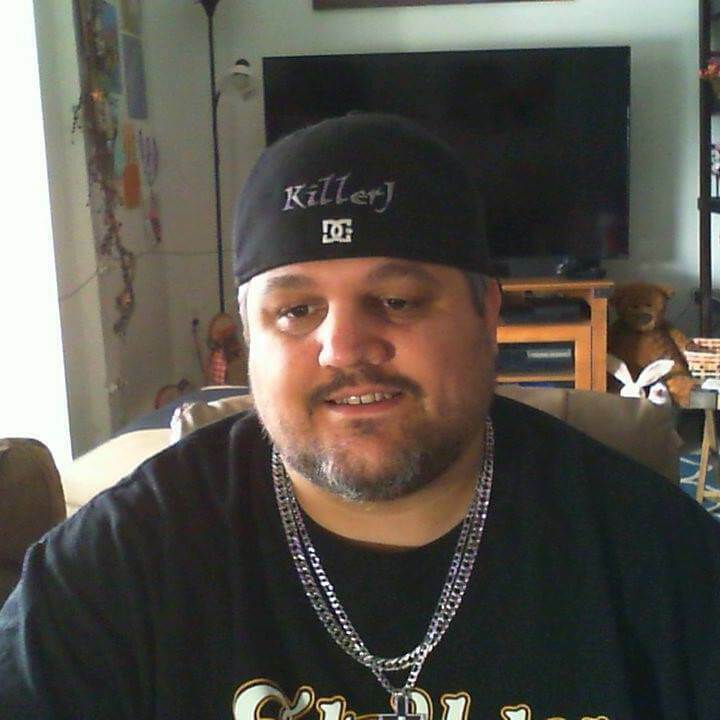 You want to know about the high end headset they have in side and I am going to get to that next. Check Out My Unboxing Video Here! 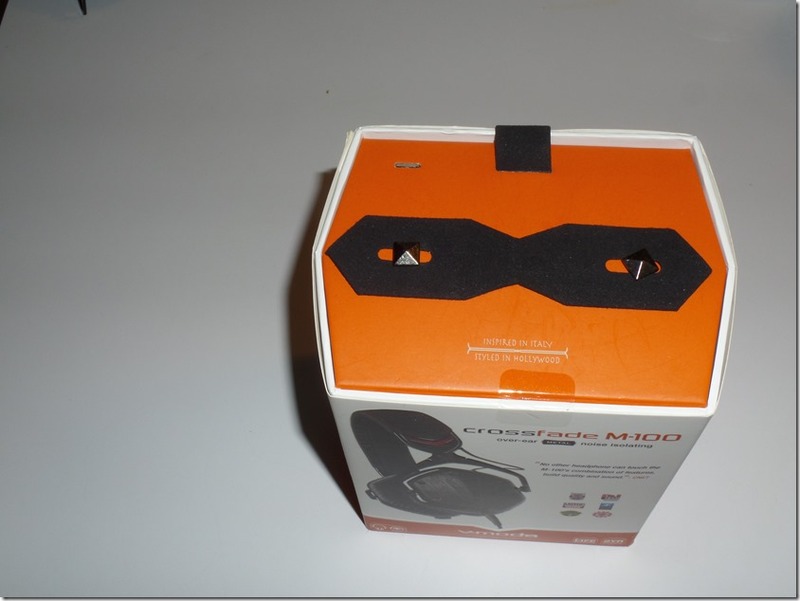 Now that we got the box out the way we will speak of the headset that came inside this small package. Well inside is something in an even smaller foot print which is an egg shell or shell case that holds this high end headset. The case matches the color or set you get. 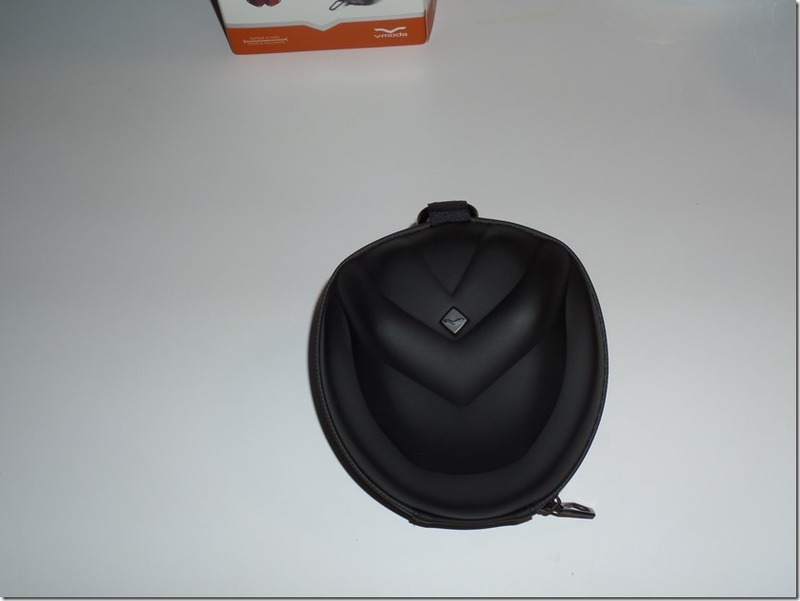 My case had V-MODA in red stitching, and as mentioned the V-Moda Headset comes in three colors as of now which is Matte Black Metal, Black/Red (Shadow), and White Silver. The Shadow set looks fantastic with it’s red stitching and black metal. The shell is a nice solid design with a stronger C clip to hang it with. 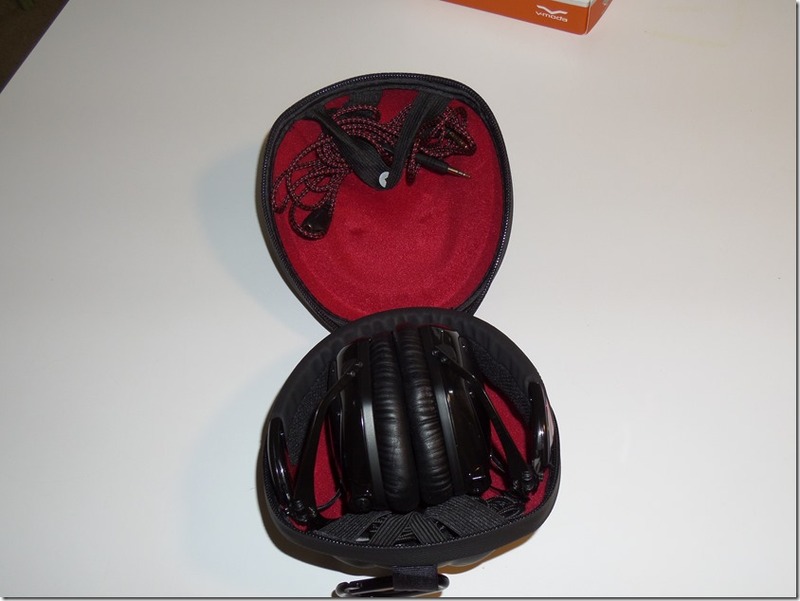 There is a strong sturdy zipper holding it closed and inside is the headset, two headphone jack cords, one 1/4 adapter plug. The adapter is gold plated for better connectivity. The cords are Kevlar coated. The plugs are also share and play which mean they have a section to plug a friend head set on so they can hear what your listing to which is another great feature if two of you are sitting on a plane side by side and want to listen to the same tunes. One of these cords is a 1 button speak easy mic cable. The V-Moda Crossfade M-100 Headphones are foldable and quite compact. They can be placed in the shell and set in your backpack pretty easily or a laptop bag. Once put away you don’t even notice they are there. You can store them in luggage and still have room for everything else is what I am trying to say. They are made of aluminum as well so they keep the headphones protected. The Crossfate M-100 band is flexible and can bend to a certain degree without breaking allowing it to fit a wide variety of head sizes. The speakers are 50mm patented dual diaphragms. 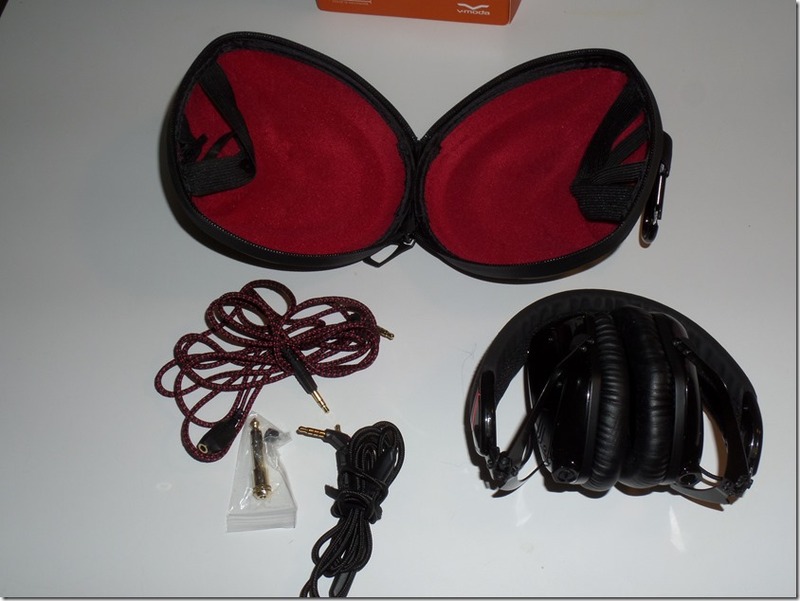 The M-100 has memory foam on the ear muff section which is very comfortable on the ear and side of the head. On the band there is some black flexible fabric with V-MODA stitched in red. 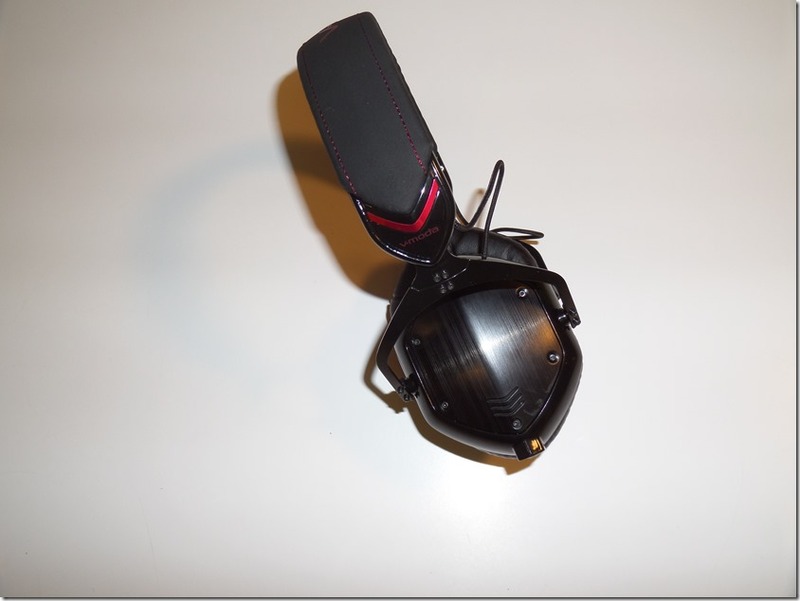 Along the side you also have some red and black that has V-MODA printed on it. One thing that I will bring up now is the shields. You may ask,( what are the shields?) Well the shields are the metal plates on the side of the head set. The reason I bring this up now is they are customizable. There are six Allen head screw or star head screws. These screw can be undone so you can swap the shields out. They have a section on their website that lets you make your own shields. 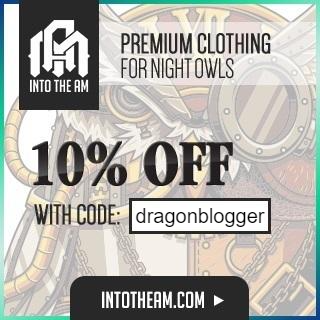 You have a variety or colors, materials, and logo/ designs. You can even send then a logo or design to have engraved or 3D printed on a shield. I ordered a set with my gamer tag. I would have added a picture in this review but there still in shipping. I will do a walk through video of how to install them on our YouTube channel after it arrives. 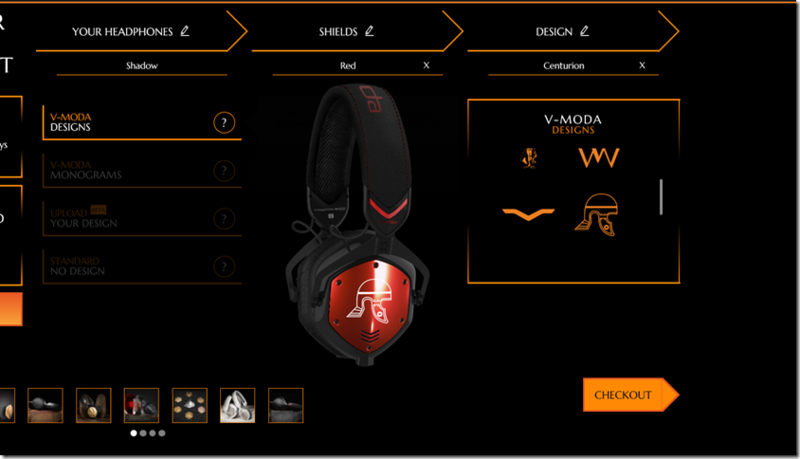 The options with customization of the shield is another thing that set V-MODA over the top compared to other headphones, but it it is a cosmetic feature. With this option you can get them laser engraved on precious metals also for those who really want to go over the top. Now if you do the precious metals the price will rise a bit higher obviously, to see those prices you may want to check their page. I bet you want to know how they fit and feel . Well simply they are so comfy that I forget they are there on my head at times and start to walk away from my PC with them on. This I think is due to the memory foam ear muff and foam cushioned head band. The sound is over the top and fantastic. I love the sound that comes out of these M-100 V-MODA’s. From the crystal clear highs and mids, to the nice and deep lows. The bass is very responsive and you feel it as well as hear it. 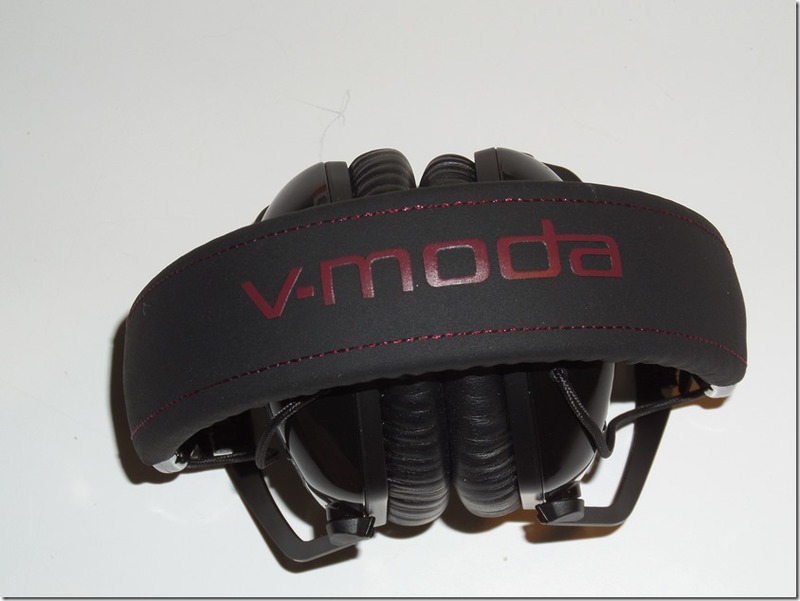 The V-MODA’s are so much better then most headphone brands I have reviewed and the difference is scary. 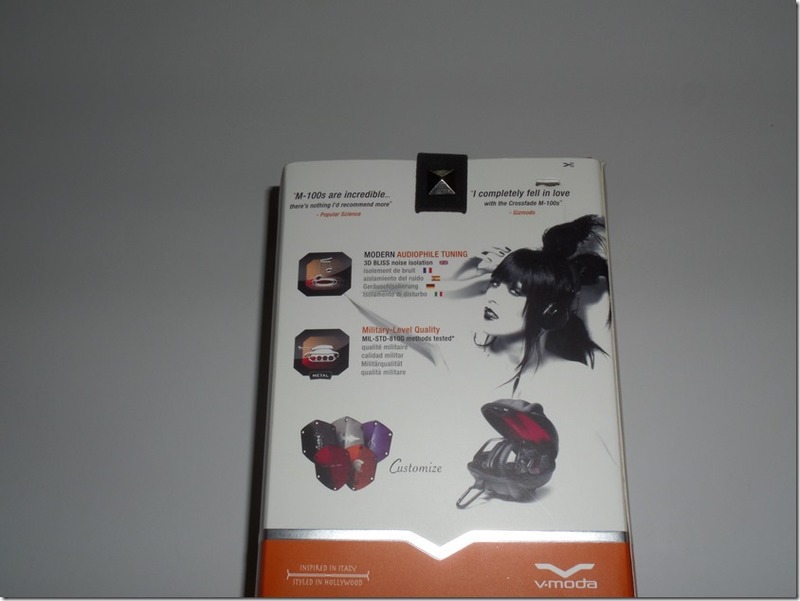 Even other high end headphones near the price of the V-Moda fall flat in comparison. The Crossfade M-100 hits every mark in my book. There not marketed towards gamers specifically but audiophiles that love listening to music and crisp sound. 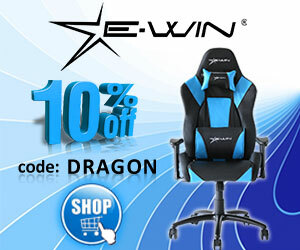 However they would be more than great for gamers to use as well. One thing I try and check for everyone when doing reviews is customer service and response times. So I sent them a few emails for support through their contact site and got a few responses back fairly quick. This is nice to see and too often you get 24-48 hour response times from companies when sending an email for support. The customer service is well mannered and courteous. They were right on top of what I asked and had the response to what I needed to know. I would say if you have any questions feel free to ask them and you should get a response back in a timely matter. 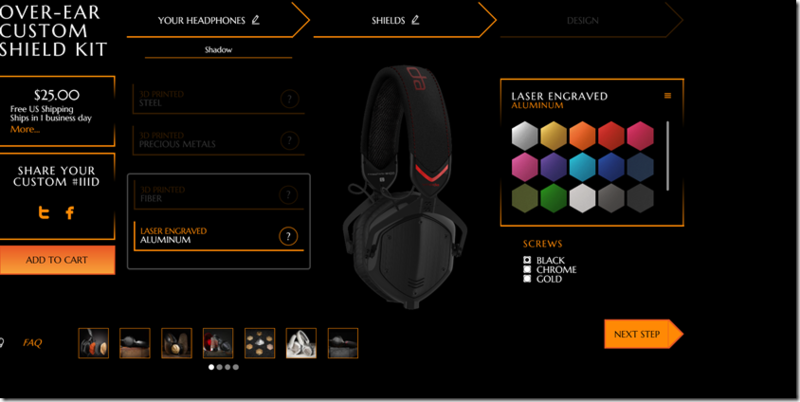 Now these are higher priced headsets but you get exceptional quality headphones that are well worth what you pay for. I would have have no problem paying for another set if I had the money. I would love a white set to match my computer build. 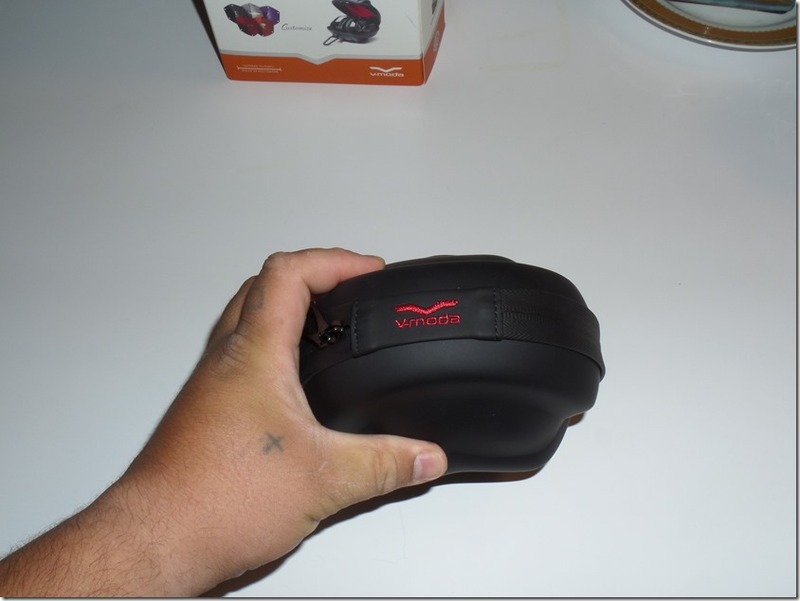 Disclaimer: V-MODA SENT ME THE M-100 CROSSFADE’S to test and review. All opinions are mine and mine alone!